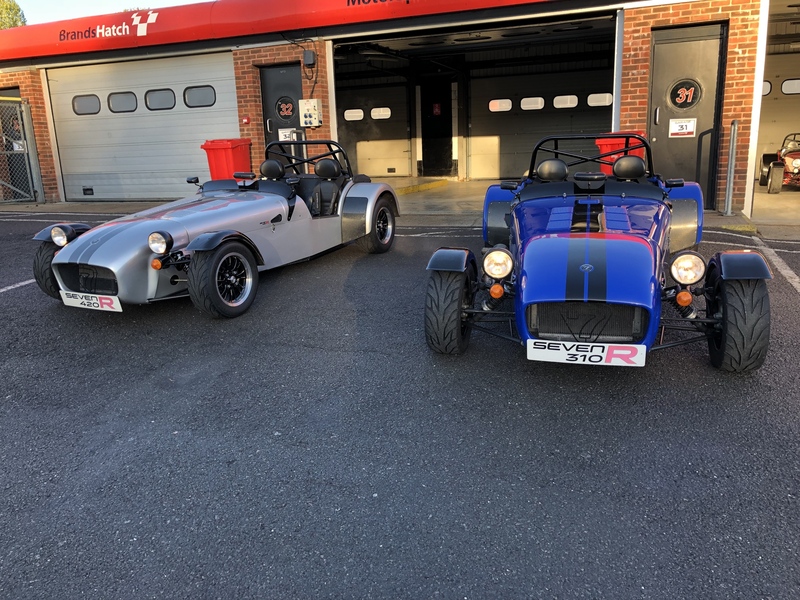 Continuing on my bucket list journey to try all the tasty great race tracks in UK and Europe, I was at Brands Hatch this week with a Caterham from my friends at BookaTrack UK. 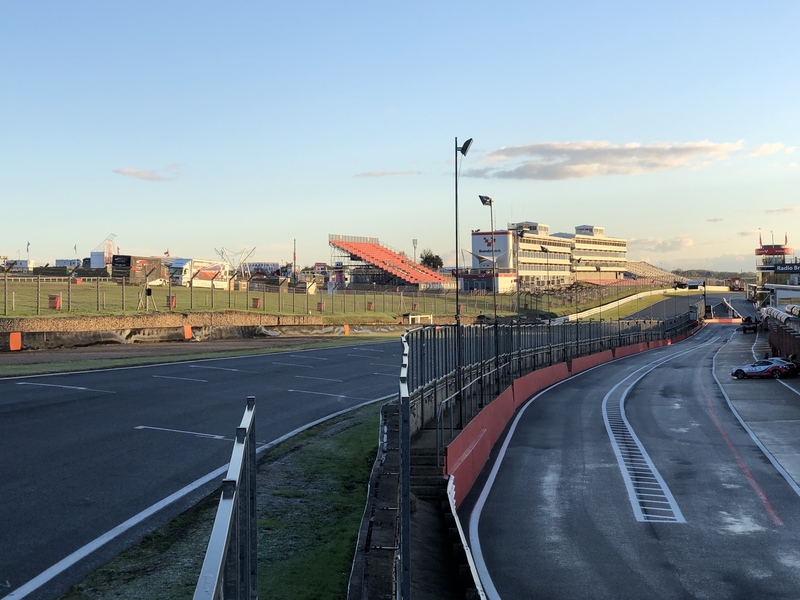 It has a great history, holding the British GP between 1964 and 1986. I was running the shorter Indy Circuit given it was mid-week and noise restrictions are a major hassle at this circuit now. So the GP circuit was off-limits. I was not concerned as this is a brilliant little circuit – flows beautifully with great elevation change. It is probably the best circuit designed for a Caterham that I have ever been on. Then sweep right into McLaren where you brake before setting the car up for the sweeping right Clearways (around where the vacuum truck in the below photo). Clearways is the critical corner as the earlier you are on the power gives you the best run long the “straight”. 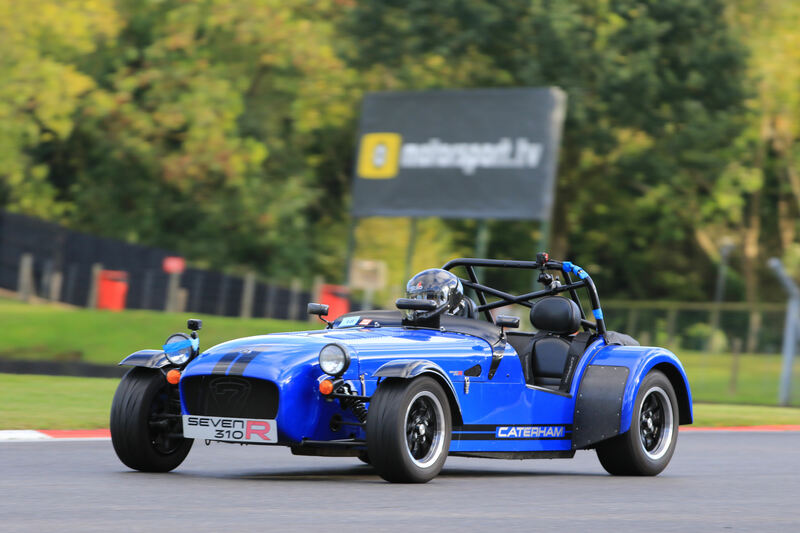 I had the Caterham 310R. I had driven this at Silverstone and Donington this year. It has the 1.6L Ford Sigma engine – so around 150hp. Black pack. Aeroscreen. 13” Apollo wheels with Avon ZZRs. Great little package. Works well at all but power circuits. As an aside the silver 420R to the left of my 310R was the one I had at Spa-Francochamps in March of this year. Sadly it only lasted 2 laps before its driver re-styled it along the pit straight with some excess throttle on a frosty morning. Noise at the circuit for the day was 98db. It was tested in the pits before joining the circuit (static test 98db at 4000rpm) plus a drive by limit on the circuit at 98db. You got one warning for noise and then you were expected to fix it. Second time you were booted from the circuit. So how was the driving? Brilliant. Perfect for a seven. It’s a 3rd and 4th gear only circuit although you could go down to 2nd for Druids for a marginal benefit if you needed a little extra time. 360degree video (with lots of wind noise) is linked below. You can click and drag the video around to look forward, behind or sideways. Despite Brands Hatch being likely to be my most epically expensive track day ever, I am committing to going back to Spa-Francorchamps next March. Should be fun. Mike - actually thought about you and your track day excursions this morning when I read the BaT November newsletter and the announcement of their sale to Ginetta. No Caterham’s in 2019. Will you continue with them driving a Ginetta? 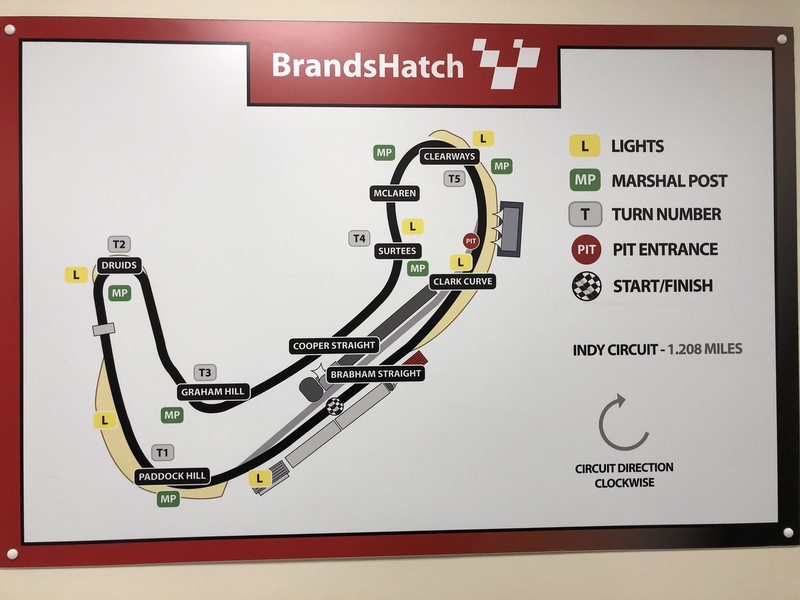 Oh, and Brands Hatch looks fantastic. Bit nippy? 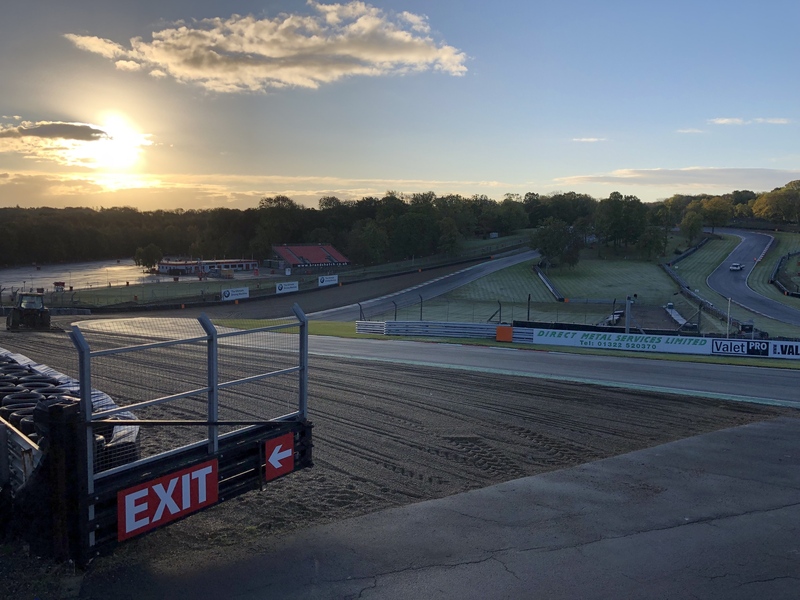 Brands Hatch was nippy. Morning was 35 degrees F when I arrived and frost everywhere. Needless to say that is tricky for Caterhams. And so it showed by one Caterham spearing off on Graham Hill bend on the sighting laps. Even I found the car pushing at 35mph in that bend. Another Caterham triggered the red flag on lap 1 by nosing into the tire wall because it understeered off on the frost. On the restart, technically lap 2, the silver Caterham in the photos lost it out of clearways by excess throttle and spun along pit wall denting every corner - luckily cosmetic pretty much. So up to 11am I tiptoed around the wet patches, letting all the heavy cars past - Ginettas, Ford Focus (Foci? ), etc. - as their weight gives a more consistent contact patch cutting through the surface frost/damp. But after 11am there was enough warmth and grip for the equation to reverse and the Caterhams to once again be ascendant. Temps topped out at around 50 degF. The nice thing about the track is that you did not need a high hp car to be quick. Its tight layout compressed the hp differential between cars. There are no stop start types of corners and so the flow helps the lower hp cars while being tight enough to restrict the high hp cars. Now if you opened up to the GP layout then that long straight turns into a high hp track. But I was very happy on the short Indy circuit. The only other circuit that I can think has this characteristic is Cadwell Park. 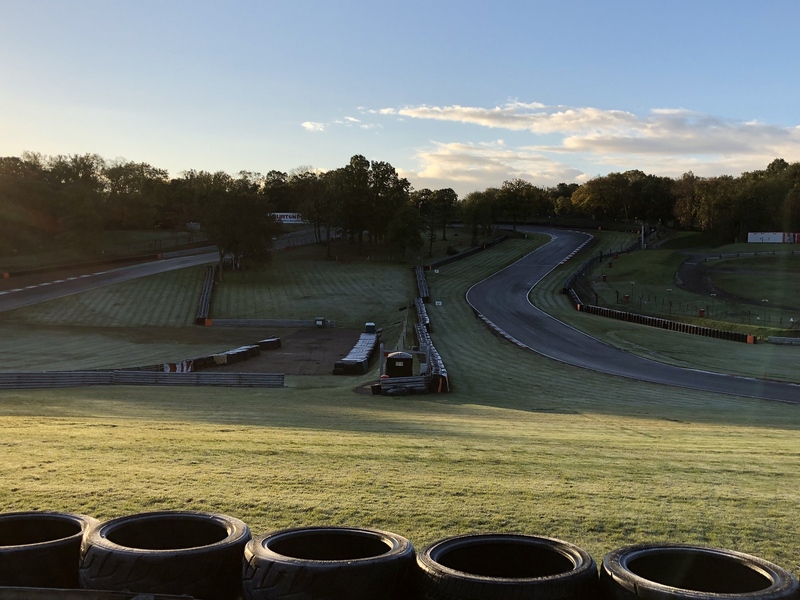 Even Oulton Park has too many straights. As for Bookatrack, you need to keep in mind that only one of the shareholders has sold out and he is still married to the other shareholder while Ginetta comes in as new. There is complexity behind why this happened. Ginetta is in between the BAT showroom and the BAT workshops at the Donington Circuit. Ginetta is really doing great things these days and so needed some expansion room. The BAT Caterham showroom was not being fully utilized to its full potential - a lot of space being wasted. 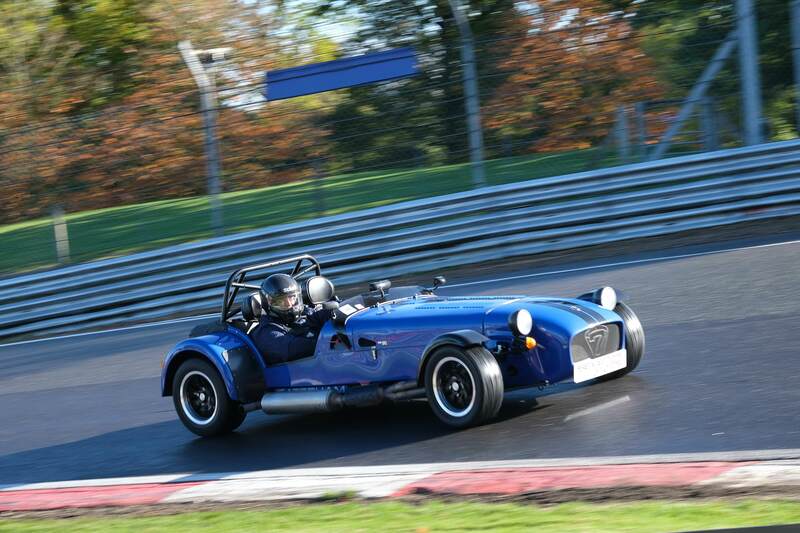 Its hard to run a Caterham dealership when the cars you are selling are on a 1-1.5 year lag for production slots. Arguably Caterham and Ginetta compete at some level so thats a challenge. 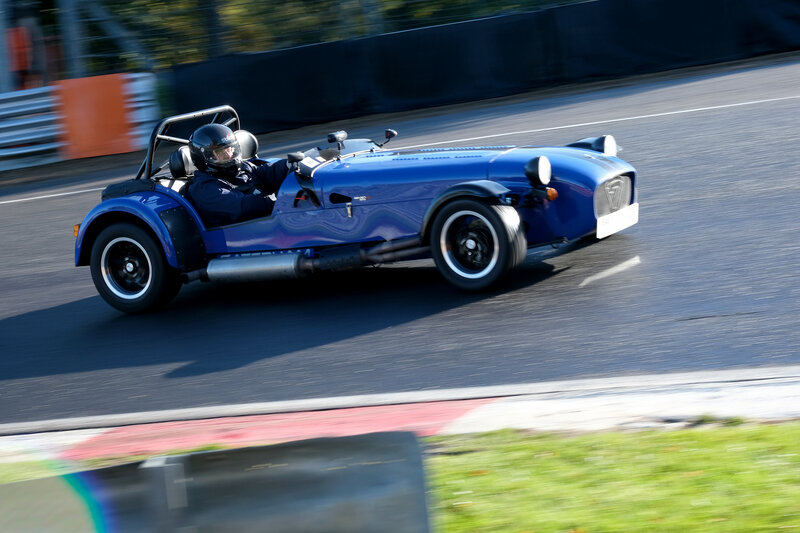 Jonny is a keen Caterham fan and enjoys his driving - that will not change. 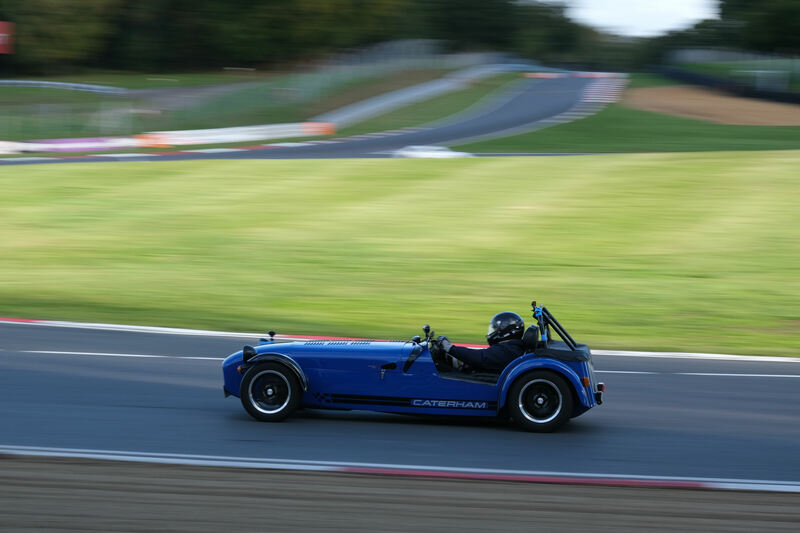 There is a large pre-existing customer base of Caterham owners that BAT looks after - for track days and road - that wont change. I think you will see used Caterhams still being sold but the track rental fleet will go to be a range of Ginettas, which they already have. If you have not seen the new range of Ginettas then you should check them out. Gorgeously pretty little coupe. Quite small but styled really well. Think of it as a Caterham SV chassis draped in composite body work. I think it is smaller than a Stalker. Definitely lighter, but that would not be difficult as Stalkers weigh a few tons. Their model is based on racing series set up in UK and Europe. They have a LMP car built too. The track day element dovetails into their existing program quite well. The only problem I see is that their lower end track cars are pretty anemic - the G40 GRDC has a 135hp (flywheel) 1.8L Zetec. Price of GBP35K (US$41K) is not just car but is a 4 weekend race package with tuition, track days, etc. So its pretty expensive for for performance entry level. You can go up to the G40 GT5 which is about USD47K entry and then that gets you on the race weekend program with some high profile events - e.g. British Touring Car Championship also running that circuit on that weekend. If you want more power then you graduate to the G55 which at its entry level is 355hp - sounds good right? But the price of entry here is GBP89K (or US$100k). Thats pricey. 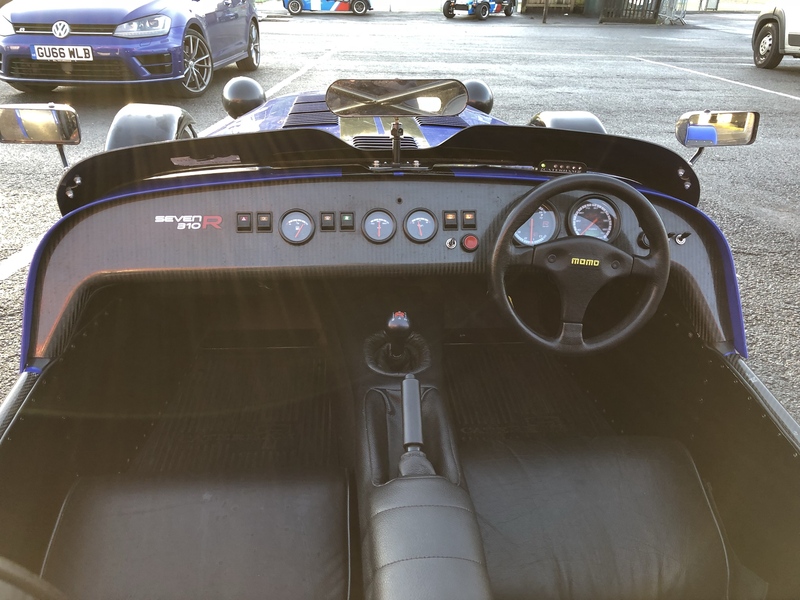 So the Caterham is a more cost effective entry point for track day fun but Ginetta is more directed at getting racing under controlled supported oversight with track day fun available on the side. Cost for track rentals will likely increase slightly as the car is a more expensive package. 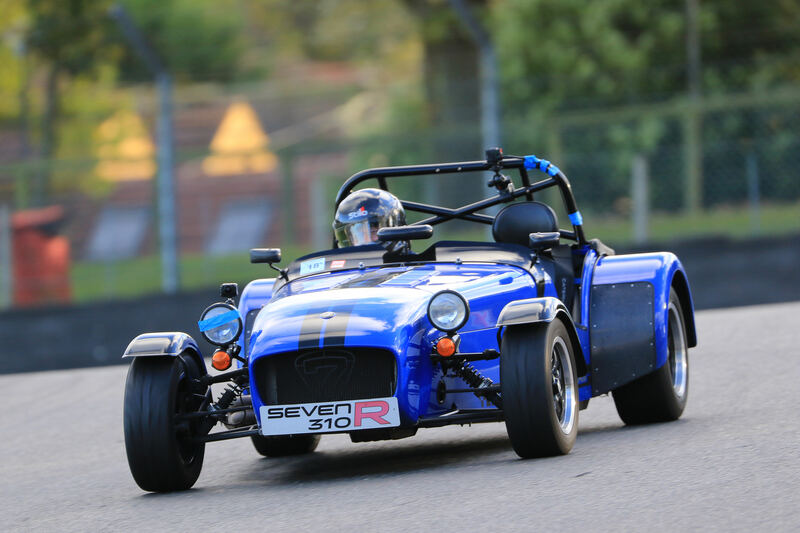 However, you can still rent track Caterhams through Boss Racing and attend Bookatrack events. I have tried the RSR track days but prefer the BAT organized ones. You can use the RSR Spa rentals at any Spa track day, including Bookatrack. They are next to the circuit and fully support. I have rented with them at Nurburgring and think they are a good outfit. The options for next years track days are still evolving but I will be in something. Have my 65th next year, and combining a track day or two with a trip to Europe was near the top of my list. Seems like BaT would be the easiest, as you're only dealing with one company. This is a clue to how I solved my problem of a Caterham for next year. There will be Ginettas for rent starting the beginning of next years driving season. Dates are likely in Dec/Jan and rentals usually get reserved quickly. I will be monitoring in December for when things surface as you are not the only one who is keen for this. If it is SPa and Zaandvoort then also look to RSR Spa for car rental. You book your car with them and then book your track day with BAT or just book an RSR Spa track day and car on the one site. There is also an RSR Nurburg. 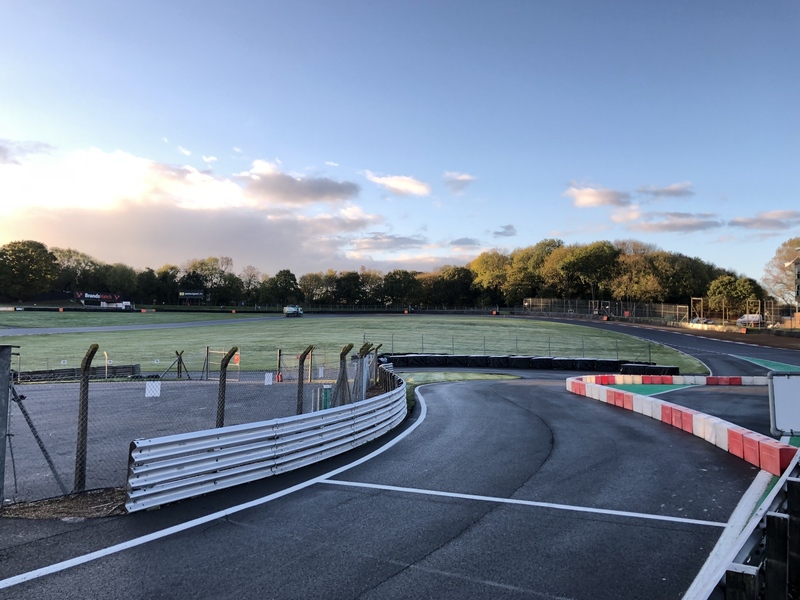 My first ever track experience was at Brands on a Yamaha RD350, love the place. 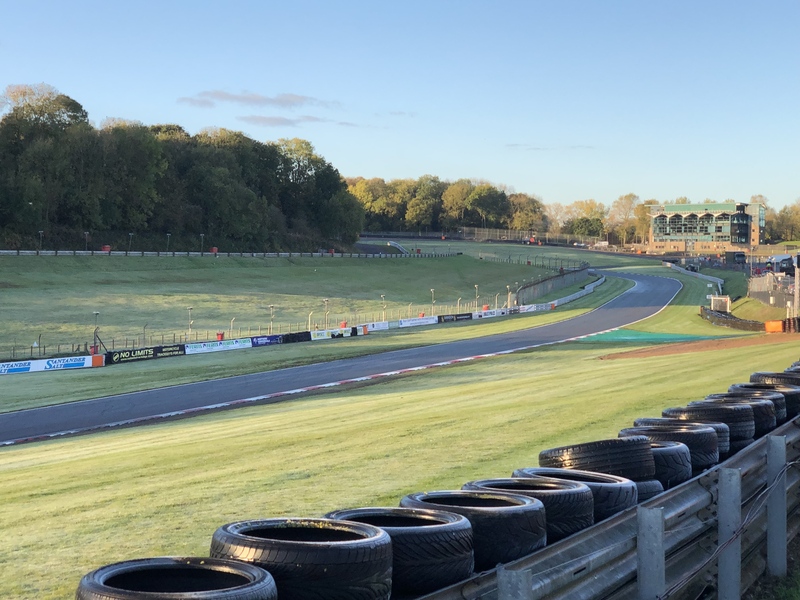 Druids Bend is the best part of Brands for a Caterham driver - especially if you're sharing a session with cars that have doors, like Ferraris, Porsches, and BMWs. The drawbacks of heavy, powerful cars become visibly obvious. 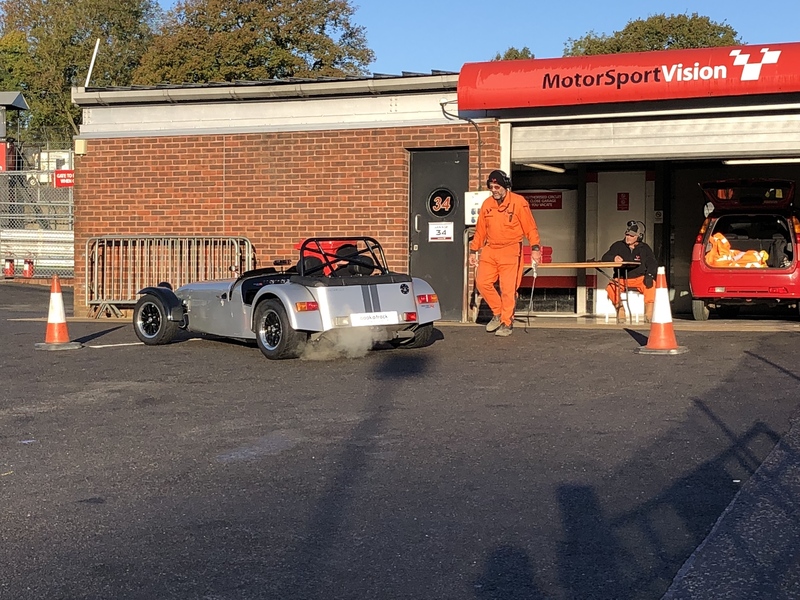 I had a 140hp Caterham with a windscreen, so the big motors would come back (and past) on the start/finish straight, but that was just another opportunity for re-passing in the twisty bits.